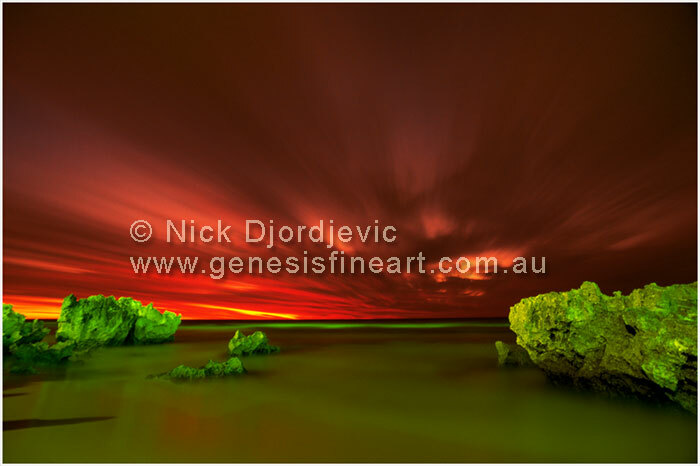 This landscape photo is titled "Armageddon" and was taken at Watermans Beach, which is located in the northern coastal surburbs of Perth, Western Australia. The picture was photographed with a 20mm wide angle lens and the length of exposure for this landscape photograph was 45 minutes. It was taken with a Nikon F4 using 50 ASA Fuji Velvia film.